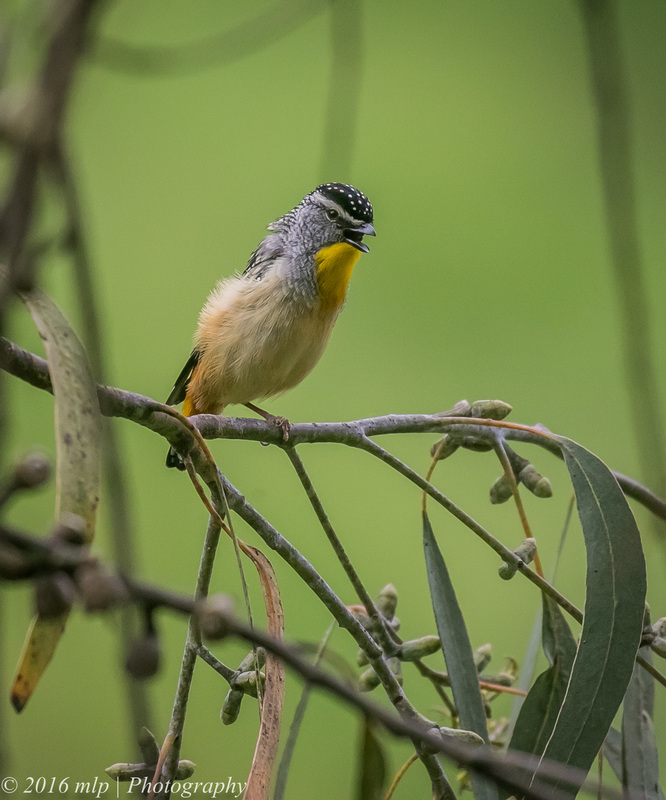 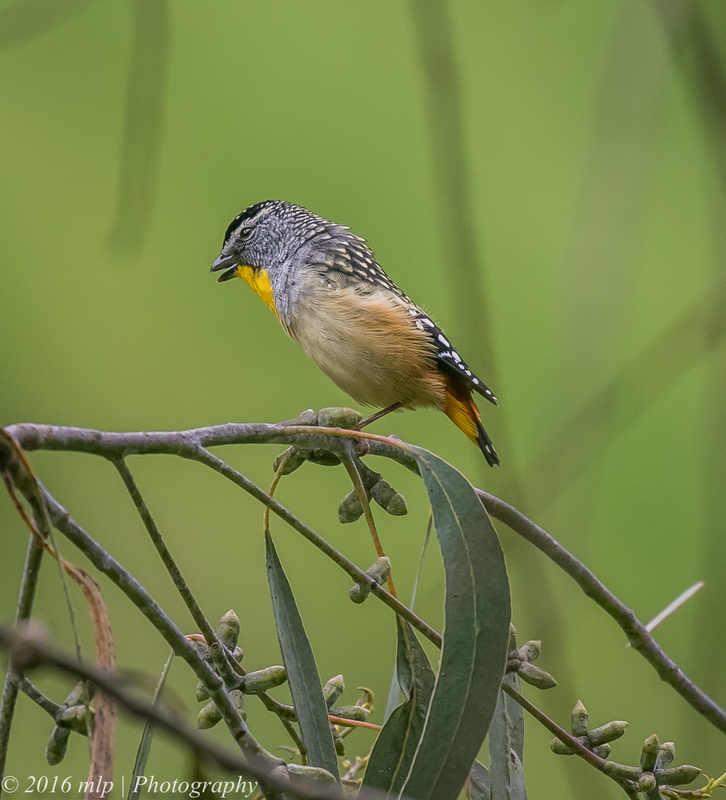 Joining in the bird chorus at the Wilson Botanic Park in Berwick, was a loud Spotted Pardalote. 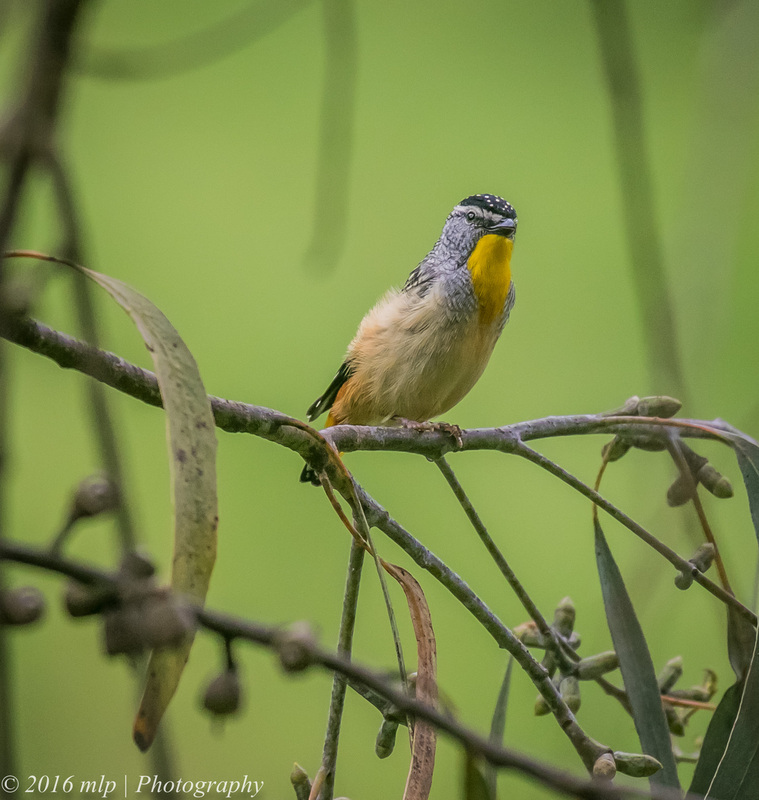 He was hard to find at first as we expected him to be high in a gum but the sound was coming from close by. 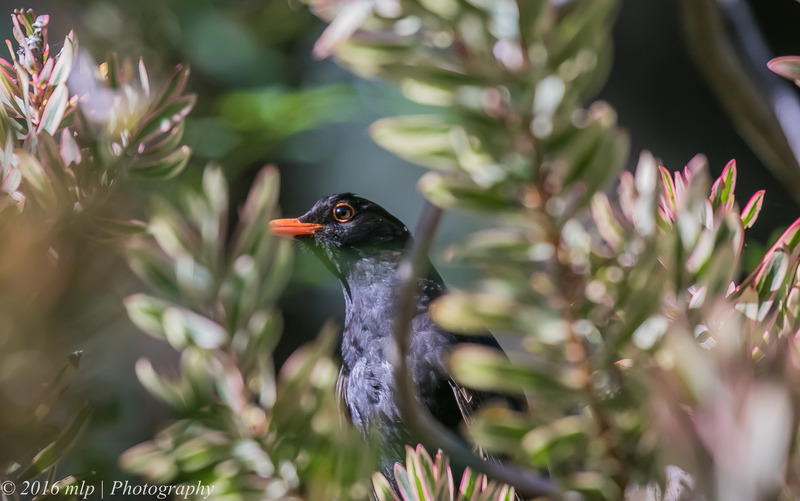 We finally found the little bird on a branch in lower section of the tree. 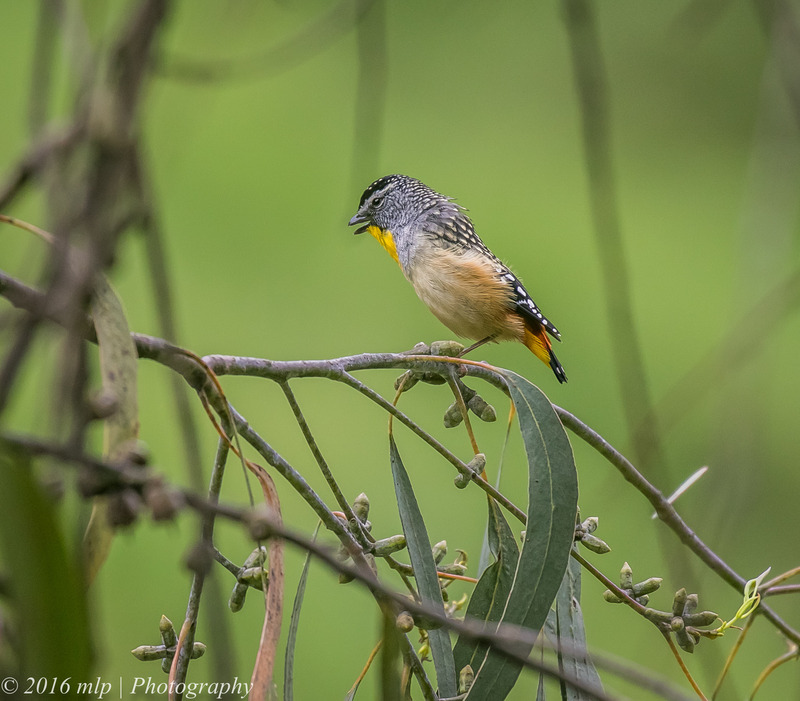 We were able to sit close and try and shoot the Pardalote through the foliage while he made his 3 tone territorial call. 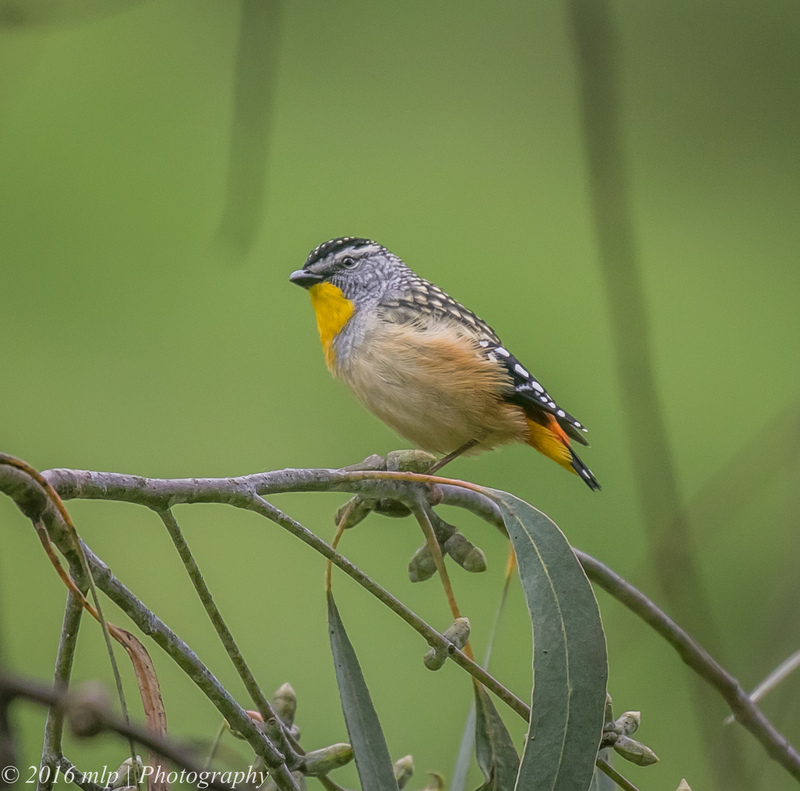 Today, with a few of the Port Phillip Birders, I visited the Wilson Botanic Park in Berwick. 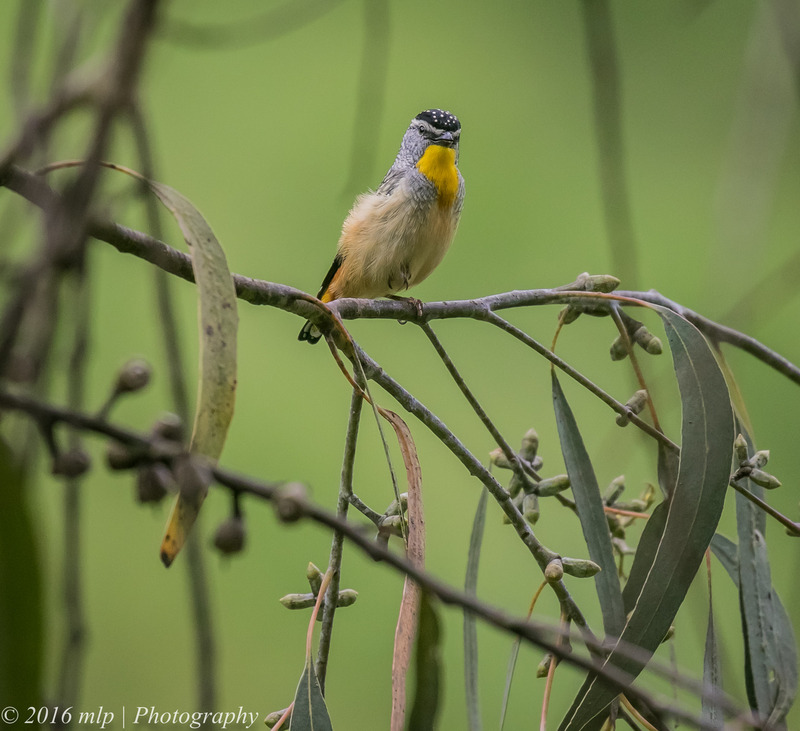 We were searching for the reported Channel-billed Cuckoo but while we were unsuccessful we did find a number of other beautiful birds. 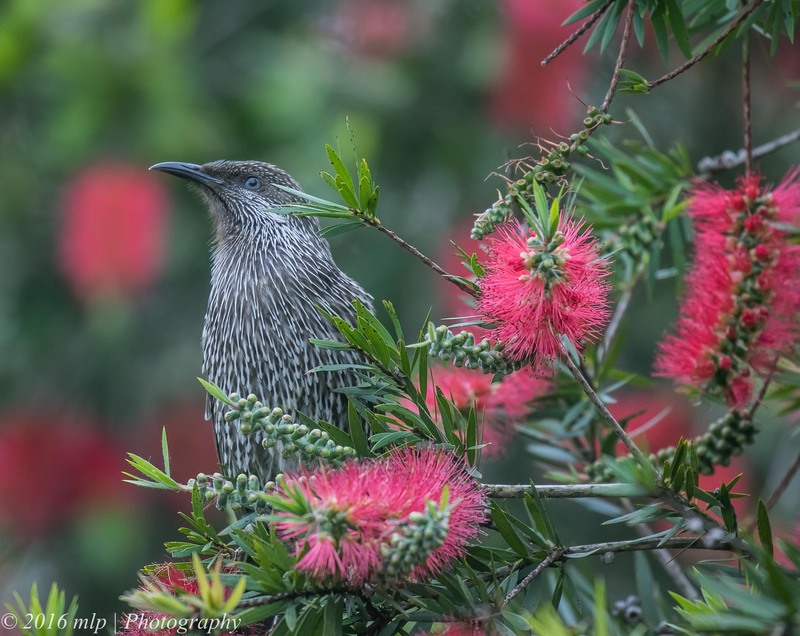 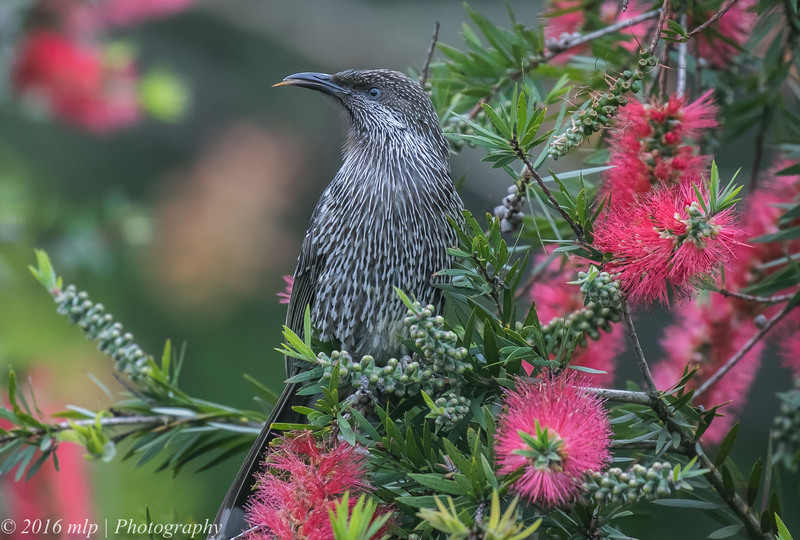 Much of the bottlebrush was in full bloom and attracted many birds feeding on the nectar. 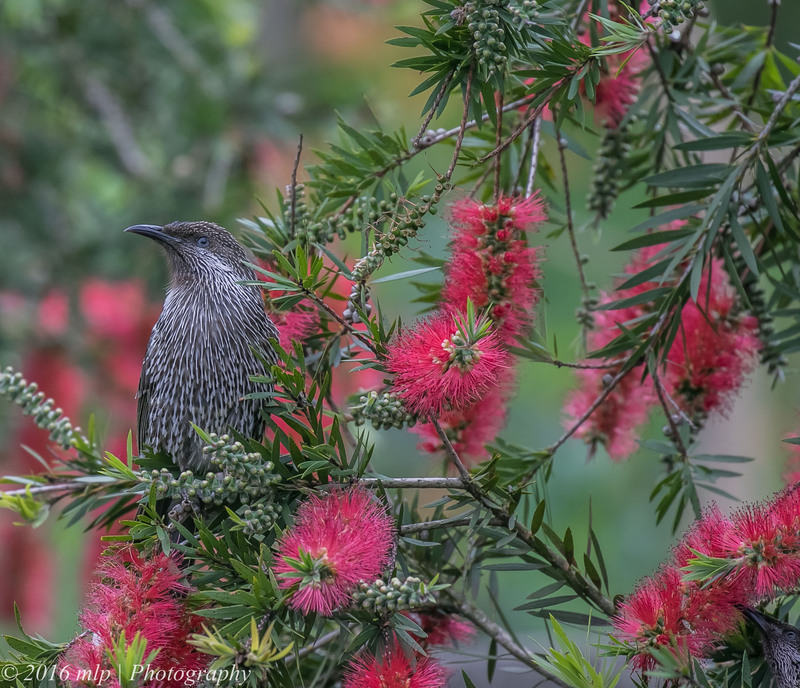 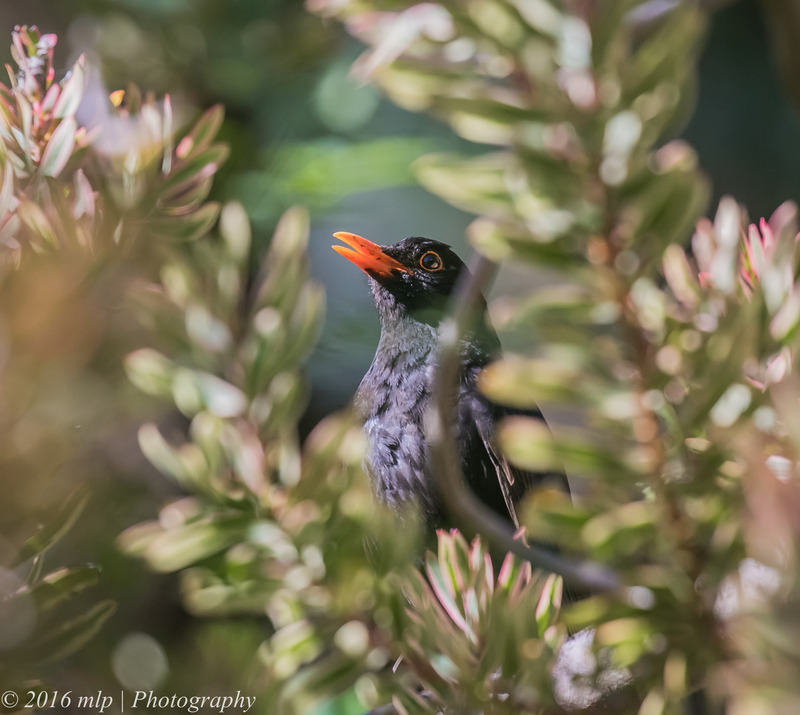 III – I did not notice the second bird in the right hand bottom corner until processing.